Ahoy there, matey! Is it wild adventures on the high seas that you seek? Are your land lubber legs itching to step aboard a mighty vessel destined for treasures and untamed landscapes? Do you look really good in a bandana and an eye-patch? Well then, perhaps it's about time you dropped that smartphone of yours and picked up a sword to become scurvy pirate of the seas! 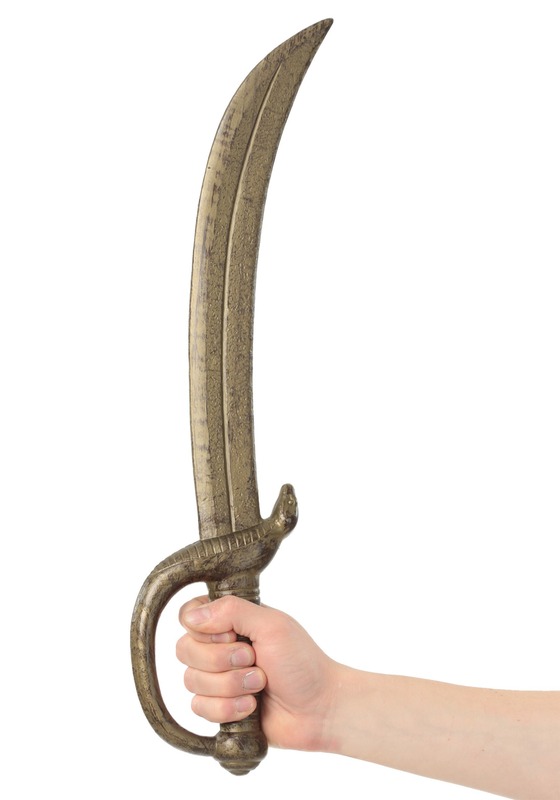 Okay, so maybe it's okay if you keep your smartphone, but if you want to make it as a swashbuckling sea dog, then you'd better bring this Golden Pirate Cutlass along for the journey. 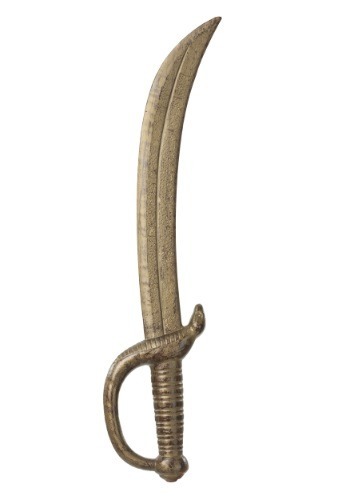 Modeled after the deadly weapons wielded by buccaneers of an age long ago, this toy Pirate Cutlass is molded to add a fierce look to your costume experience. With an gold paint-scheme that gives it the look of a captain's treasure, this sword will have you feeling like the top dog in no time! Of course, this thing is made of plastic, so don't go starting fights with any real pirates.